What is the Self? Clearly the concept is a construction dependent on the organisms studied and the scientific discipline invoked for its criterion. 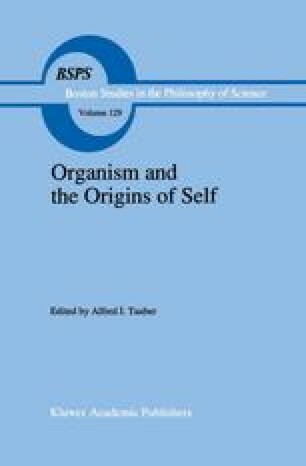 From an anthropocentric vantage, the immunological manifestation of organismic Self is highly evocative. We are impressed with the extraordinary ability of the host to differentiate self elements from those invaders deemed dangerous; Lactobacillis in yogurt is fine, Staphalococcus is not; we “eat” one and attempt to destroy the other. Immunology, at least, for human biology, has become a crucial element of erecting the Self. But we are dissatisfied with the current interpretation of its nature.